Are you running WordPress setup locally on your Windows or Mac Laptop? Or Desktop? 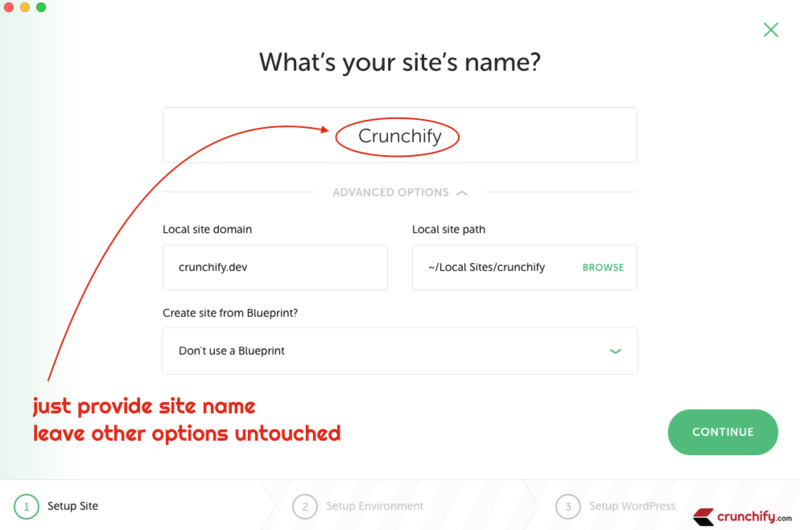 For me it’s been almost 3 years I switched to dev model before I push anything to live Crunchify site. Since last 3 years, I have been using MAMP to run WordPress locally on my Mac Laptop. Also, we have recommended MAMP to numerous clients for their local development. Let me start by saying that I came across Flywheel yesterday by looking at Twitter message by Chris Coyier. It’s been only 2 days now playing with Local by Flywheel for my local WordPress development platform and I’m already in love with it. Let me share steps on how to get started with Local by Flywheel. Click on Local by Flywheel Desktop icon to launch Flywheel application. It will prompt you to enter your site name. Please note here your Local site domain and Local site path. You will need these informations in later steps. On next screen choose Custom Settings. 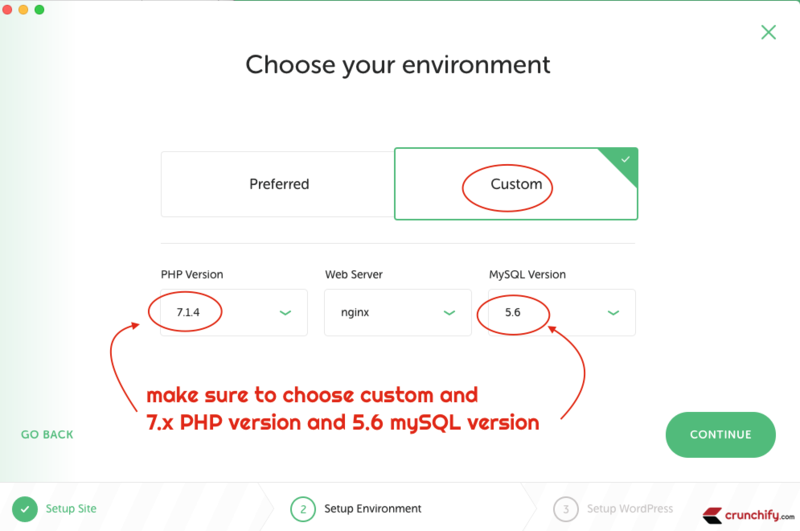 Make sure you choose 7.x PHP version for faster site loading performance and 5.6 MySQL version as most of the current hosting provider like Bluehost and Hostgator provides those configuration. In my case I’ve also changed Web Server to Apache as my live site Crunchify.com is running on Apache server. If you are familiar with nginx and using it on your live site then don’t make any changes. Provider username and password. Make sure you don’t change email as of now. You could always change your email later on. Click on Add Site and you are done. You local site will be up and running within 2 minutes. Check it out below screenshot. In my case local site address is http://crunchify.dev. You will see nice details about your local site in app now. You will be able to see 4 tabs. SITE SETUP – provides all details about WordPress version, PHP version, Web Server (Apache), MySQL Version, Site Domain, Local File Path and more. DATABASE – provides simple username, password, host, port for your local site. SSL – you could enable it by trusting OpenSSL certificate by clicking TRUST button. I haven’t enable SSL on local site yet. UTILITIES – MailHOG? Hmm. Even I never played with it. So I didn’t touch it. Step-7 How to import your live site to localhost site? As I use VaultPress as my primary backup, I have downloaded latest copy of site backup including wp-content folder, DB backup, plugins, themes and all. You need to first Prepare Backup and then you will see Download link option. 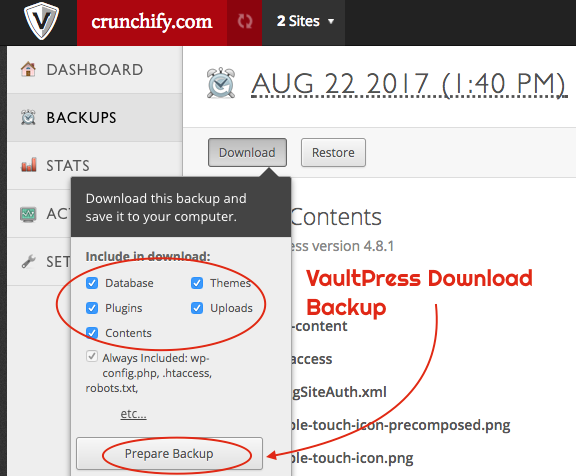 Once you download VaultPress backup, just extract it locally and replace flywheel’s wp-content folder with VaultPress’s wp-content folder. By this step, you are making sure that you have copied all images, themes, plugins and other folders from live site to local site. In my case, flywheel’s wp-content folder path is ~/Local Sites/crunchify/app/public/wp-content. You can find your local flywheel path in above Step-3. NOTE: Before you import live database to localDB, you need to change all links from https://crunchify.com to http://crunchify.dev in .sql backup file. Click on Import link and provide your updated .sql file and click on Execute button. That’s it. You have now successfully imported complete live site to local site. 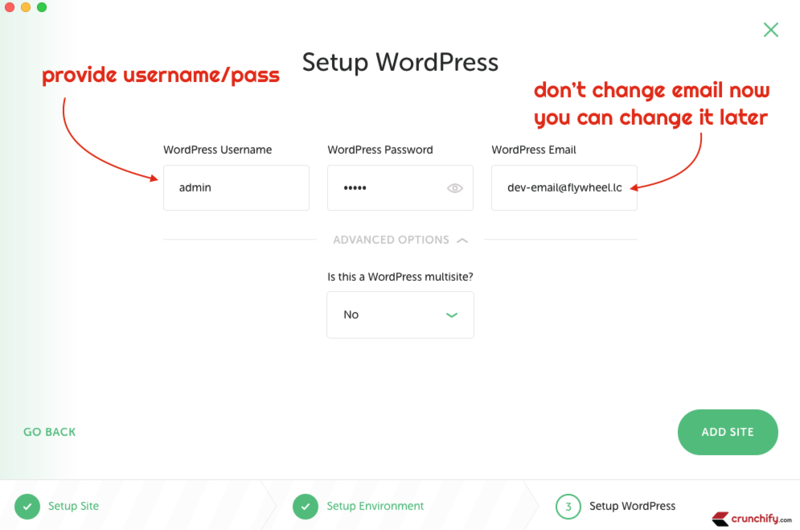 Just go to http://crunchify.dev/wp-admin (change domain to your domain) and provide live user’s ID and Password to login. So far I simply liked Flywheel and in the future I’ll recommend FlyWheel to all of my clients. You are just a message away if you have any problem running WordPress site locally using Local by Flywheel. Do you have anything to say about how Local is better (or worse) than MAMP Pro, based on your experience? Hi Felicia – yeah. As per my past few years experience – I totally vote for FlyWheel. MAMP is kind of slow, feels outdated, lacking support for temp URL and so much more.